Summer can be a powerful time to share the joy and fun of reading with children and spark a love of language and learning. Oakland Reads wants to help you bring to life your ideas for promoting reading with the children and families in your programs. The Oakland Reads campaign grants of up to $1,000 to Oakland public elementary schools, preschools, and nonprofit organizations running summer programs with children ages 0-8 that present a clear and compelling idea for how they’ll remove barriers to summer learning, such as access to books at home, and keep kids reading over the break. 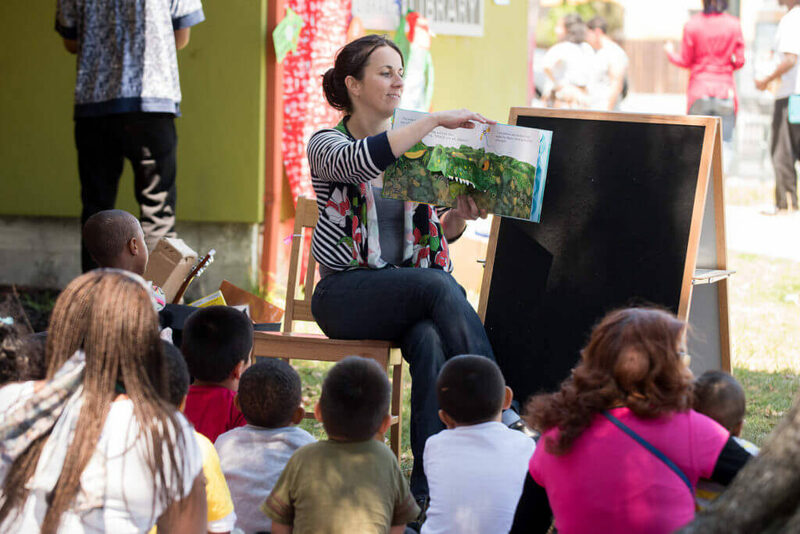 Projects include one-time or recurring events (such as family reading celebrations, book clubs, or read-ins) that promote reading, engage families, and provide all participating children with at least one book to keep and read at home. Organizations must serve predominately low-income families in order to be eligible. The application period for the 2019 summer cycle will be open on May 1st. If you have questions about your proposal or project, please send us an email at team@oaklandliteracycoalition.org. All grant funded events must engage children ages 0-8 and their families, feature a read aloud and/or parent workshop, connect families with resources to encourage reading at home, and give at least one book to every child in attendance to add to their home collection. Grants may be used for a one-time event or a series of recurring family literacy activities. We encourage grantees to budget for new, high-interest, culturally and linguistically responsive books and professional resources to lead parent workshops or model reading strategies. Grant amounts will be determined based on the size of the event and how funds will be used to connect families with resources to support reading. June 3rd: Application deadline for new grantees. (You were not awarded a grant this school year or past summer). June 7th: Application deadline for returning 2018 summer and 2018-2019 school year grantees. June 14th: Funding decisions announced. Applications received after this deadline will be awarded only if funds are still available. A brief online application is required to share the proposed project goals, activities, and budget. The application should take no more than 30 minutes. Before applying, please be sure to carefully review the Application Guidelines below for eligibility information. Visit our Planning Tools page to get started with tools and resources to help prepare for a fun and successful project. Click here to view the narrative portion of our application. Additional information will be asked in the application.